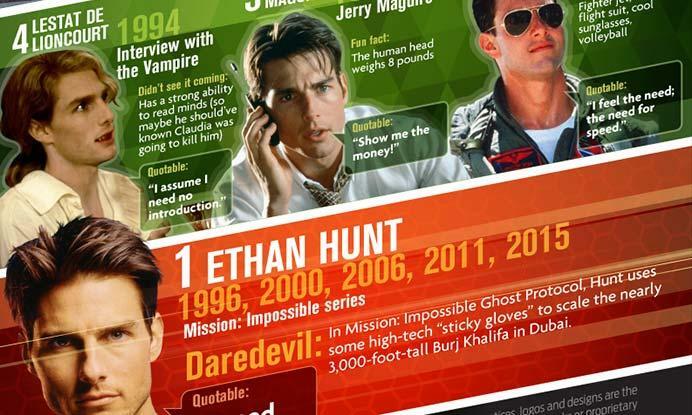 What's your favorite Tom Cruise character? You know you have one. We all do. Is it Brian Flanagan, the cocky bottle-juggling bartender from Cocktail? Maybe you have a need for speed - and shirtless volleyball players - so Lt. Pete "Maverick" Mitchell from Top Gun is more your style. From adrenaline-pumping action hero to innocent high school student to obnoxious talent agent, Tom Cruise has played it all in his spectacular career that has spanned over 30 years. 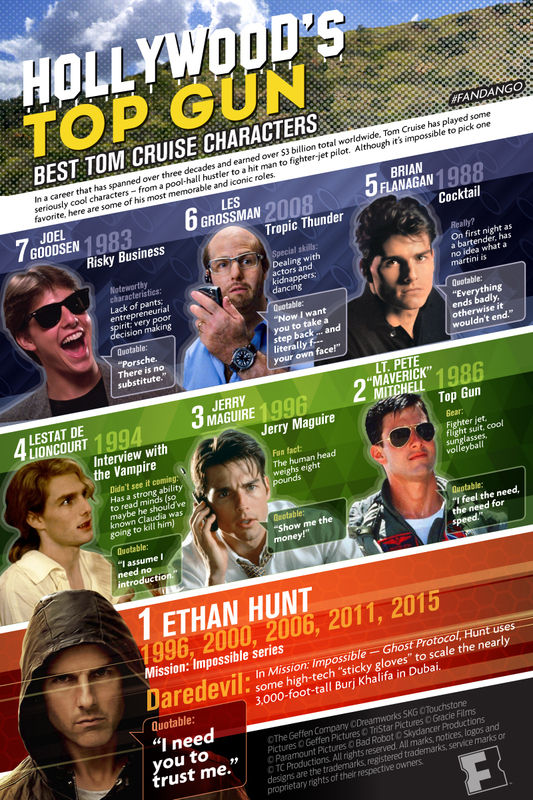 Check out this graphic featuring our top seven favorite Tom Cruise characters and see if your favorite made the list. Graphic created exclusively for Fandango by Infographic World.